5 Workshop 5 Trajectory Equifinality Approach and Textmining Analysis -- How can they be used synergistically? This workshop will help attendees capitalize on the strengths of quantitative and qualitative research to advance knowledge and understanding in the social, behavioral, and health sciences. After briefly reviewing the concepts of qualitative and quantitative research, the workshop will be organized around the following eight steps in the mixed methods research process: (1) Determine whether a mixed methods design is appropriate; (2) Determine the rationale for using a mixed methods design; (3) Select a mixed methods research design and mixed sampling design; (4) Collect the data; (5) Analyze the data; (6) Continually validate the data; (7) Continually interpret the data and findings; (8) Write the research report. For maximum impact, students should arrive with a set of research questions that they hope to address in a research study of interest. The students will leave the workshop with an initial mixed methods design for their planned research studies. Prerequisites: none, but basic knowledge of quantitative and qualitative research is desirable. *This workshop will be conducted using both English and Japanese. Michael D. Fetters, MD, MPH, MA is a family medicine researcher and Professor in the Department of Family Medicine at the University of Michigan and is Director and Founder of the University of Michigan Japanese Family Health Program. He is the principal investigator on the project, SMARTER FM, the Shizuoka-University of Michigan Advanced Residency Training Experience and Research in Family Medicine, that promotes the development of Family Medicine regionally in Shizuoka Prefectures where he was a high school exchange student in 1979. Dr. Fetters has authored over 150 scholarly articles and chapters on topics in family medicine, medical education, ethics and research methodology. Many of these involve cross-national comparisons between Japan and the United States. 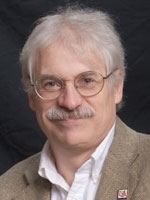 Dr. Fetters has served as the principal investigator or methods lead on multiple NIH and AHRQ funded studies using mixed methods techniques, and given multiple mixed methods workshops. Since January 2015, he served as Co-Editor, Journal of Mixed Methods Research. He serves as President, Asia Regional Conference of Mixed Methods International Research Association in Japan. Mixed methods research has expanded around the world and across disciplines in the social, behavioral, and health sciences. So too have the procedures for conducting a mixed methods study. This workshop begins with an introduction to mixed methods and essential characteristics of mixed methods designs. We then pose a research scenario which will require an advanced mixed methods design to adequately address. Participants will engage in a series of exercises that will create a mixed methods project using state-of-the-art procedures by placing the design at the center of the project. In doing so, we identify recent innovations in mixed methods designs including comparative case studies and intervention mixed methods designs. We conclude by highlighting procedures to enhance the rigor of a design, such as differentiating intent, drawing diagrams, noting threats to validity, and identifying points of integrating. Throughout the workshop participants are expected to share ideas and interact among themselves. *This workshop will be conducted in English. The purpose of this workshop is to introduce the Grounded Text Mining Approach (GTMA), a new mixed methods approach that combines the qualitative data analysis (QDA) approach adopted from the constructivist grounded theory method (Charmaz, 2006) and a text mining technique. GTMA is a type of a “conversion mixed design,” which integrates quantitative and qualitative data by transforming one type to another (Teddlie & Tashakkori, 2009). The text mining technique is a combination of computer-based natural language processing and its statistical visualization. This technique allows researchers to objectively extract meaningful pieces of information out of unstructured text data. In this workshop, the instructors outline the GTMA’s framework and its spiral data analysis process that involves: (1) careful reading of transcripts, (2) an emergent coding technique adopted from the constructivist grounded theory approach, (3) a computational linguistic analysis using the text mining technique, and (4) convergent and divergent integration of results obtained from the preceding steps. Mitsuyuki Inaba is Professor at the College of Policy Science, Ritsumeikan University, Kyoto, Japan. He is also the director of the Center for Forensic Clinical Psychology at Ritsumeikan University, a board member of the Digital Humanities Center for Japanese Arts and Cultures (DH-JAC) of Ritsumeikan University, and an associate member of the Laboratory of Comparative Human Cognition (LCHC) at University of California, San Diego. 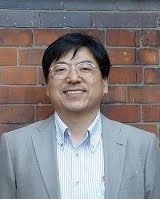 Prof. Inaba is co-author of “New Directions in Digital Humanities for Japanese Arts and Cultures” (Kyoto: Nakanishiya, 2009) and “Research Methods in Communication Studies” (Kyoto: Nakanishiya, 2011). He is the editor of “Digital Humanities Research and Web Technology “ (Kyoto: Nakanishiya, 2012). He has published many article and research papers on Text Mining, Computer-Assisted Qualitative Data Analysis (CAQDA), and Mixed Methods Research (MMR). Prof. Inaba is an executive board member of ADHO (Alliance of Digital Humanities Organizations) centerNet international committee, ADHO Multi-Lingual and Multi-Cultural committee, Japanese Association of Digital Humanities (JADH), and Information Professing Society of Japan (IPSJ) SIG Computers and the Humanities. He is a member of the Association for Computing Machinery (ACM), Japanese Society of Artificial Intelligence (JSAI), Japanese Cognitive Science Society (JCSS), and other academic associations. Tetsuo Naito, PhD, is a clinical social psychologist and Professor at the Division of Clinical Psychology, Graduate School of Psychology, Fukushima College. He is professor emeritus of Shinshu University. Dr. Naito majored in experimental social psychology as an undergraduate and graduate student at Waseda University. After graduating, he also engaged in industrial psychology and conducted research at a marketing firm. Eventually he secured an academic position in the School of Allied Medicine and was in charge of clinical psychology at Shinshu University. There, he also worked part-time as a clinical staff member at the children's consultation office for five years. Then he took an academic position as associate professor of social psychology in the School of Liberal Arts and Sciences, Shinshu University. Having been engaged in the problems of social adjustment with individual clients, he found it difficult only conducting theoretical research on the daily lives of average people. Social psychology and clinical psychology had fused together as social clinical psychology inside him. He was accustomed to listening to personal experiences and critically evaluating all relevant variables of each person. The concepts of oneness, uniqueness, history, holism and others had indelibly influenced him. He was strongly motivated to create a new scientific method for individual cases, namely, Analysis of Personal Attitude Construct (PAC Analysis). Free association by a client who is affected by a peculiar problem is one method for eliciting critical variables because it comes from the scheme of the informant. Each subject's scheme constitutes all of his or her personal experiences. A researcher can then conduct multivariate analysis without using means and standard deviations. In this approach, a researcher can ask clients to describe their own data, because there is only one client. A technique used to ask about positive and negative images for all associated items, it is called the “thought list technique.” It could be used to measure the degrees of conflict. Currently PAC Analysis is used extensively in the fields of psychology, Japanese language education, nursing science, sociology, marketing and others in Japan. His recent focus is on the cultural scheme of interpersonal relations and communication. Workshop 5 Trajectory Equifinality Approach and Textmining Analysis -- How can they be used synergistically? The trajectory equifinality approach is a qualitative methodology grounded in cultural psychology that captures processes and their genesis. A key characteristic is the use of data from interviews and observations to capture an individual’s life chronology and sociocultural context. Text mining on the other hand, captures characteristics such as the range of words that make up the text, the frequency of their appearance, and the relationality and structure of an individual’s words, and is useful for understanding aspects of an individual’s life. For example, during intake interviews and telephone consultations, it is crucial to accurately record answers to pre-designed questions obtained using semi-structured interviews, though at the same time, it is also necessary to capture the clients’ life behind the narrative by attentively listening to what is being said when the individual goes back and forth in time even though time flows irreversibly. Through the use of concrete examples, in this workshop participants will learn about the use of the trajectory equifinality approach, and explore its potential for mixed methods research by considering how it can be used synergistically with text mining procedures to understand a phenomenon. Mariko Hirose, M.A. is a clinical developmental psychologist and Research Associate in the Department of Psychological Sciences at Kwansei Gakuin University. Ms. Hirose engages in support services for youth affected by "Hikikomori," a social withdrawal syndrome. Currently, she serves as a community development support coordinator and in this role she developed a support program for adolescents with autism spectrum disorders and their families in cooperation with the local government. Using a mixed methods approach, Ms. Hirose utilizes the Trajectory Equifinality Model (TEM), a new qualitative and text-mining approach utilized to analyze narrative data elicited in clinical practice. 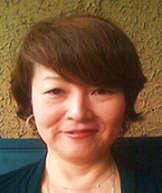 Yuko Yasuda is a clinical psychologist and Associate Professor at Psychology Program in the College of Letters, Ritsumeikan University, Kyoto, Japan. She obtained a Doctor of Education degree from Kyoto University. Her major fields of study are clinical psychology and life-span developmental psychology. She has been engaged in clinical care and research with a focus on crisis and resilience in each life cycle. Previously she conducted life-story research about the experiences of women with infertility. 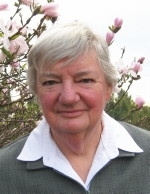 She has methodological interests in qualitative research methods and with others collaboratively developed the Trajectory Equifinality Approach (TEA). The TEA technique is used for multi-track analyses and is useful for assessing diversity of human development and life-trajectory. TEA is a methodological framework for analyzing qualitative data useful for understanding process and historical, cultural and social contexts. It was developed based on "Equifinality," a concept showing that individuals can follow multiple pathways to a single destination. The approach taken to integration of diverse data sources and analytical approaches in mixed methods studies is a crucial feature of those studies. Models of integration in analysis range from discussing separately generated results from different components or phases of a study together as part of the conclusion, through synthesis of data from these different components, to combination of data sources or conversion of data types to build a blended set of results. While different models of integration are appropriate for different research settings and purposes, an overcautious approach to integration can generate invalid or weakened conclusions through a failure to consider all available information together. Strategies, including some that make use of NVivo software, for making the most of opportunities to integrate process and variable data in analysis to build strong and useful conclusions will be explained and illustrated through reference to a variety of mixed methods studies. The workshop will assume basic understanding of qualitative (text analysis) and statistical methods. It will be of particular value for graduate students as well as for academics and practitioners who are feeling overwhelmed with data and are wondering what to do with it and how to advance their analysis of it.